The American Heart Association and American College of Cardiology lowered the bar for what they consider "high blood pressure." Anyone with a reading of 130/80 or higher is now officially in the danger zone. 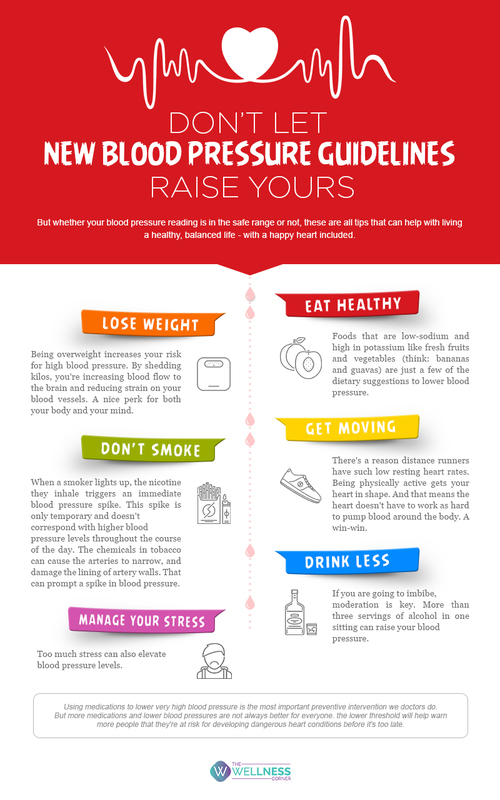 High blood pressure can be tough to diagnose, because there aren't clear warning signs that you've exceeded the normal range (higher than 120/80), other than a cuff reading.